Three strand twisted twine made from 100% industrial natural white nylon 6.6. 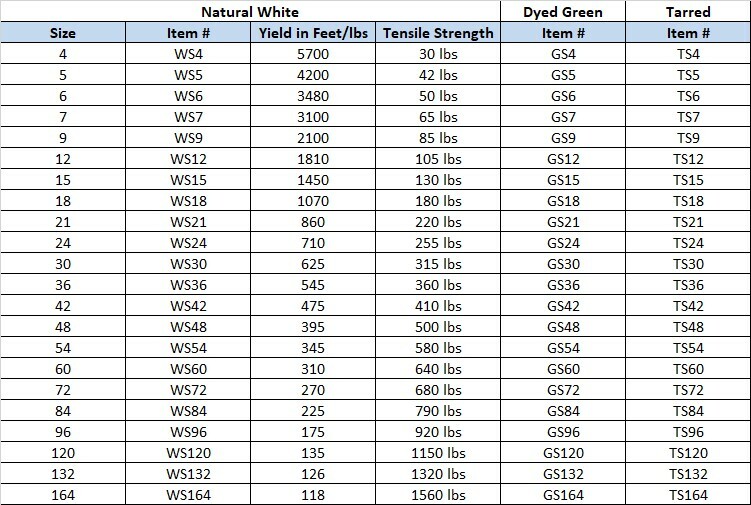 Dyed green and Marine Tarred Seine Twines are linear processed in solution, mechanically brushed to insure dye or tar penetration, and then dried in gas-fired ovens. *Note - due to shrinkage, yields on dyed and tarred twines are from 5% - 7% less than natural white twines.